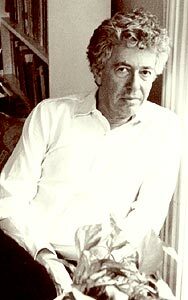 Kenneth Koch (1925–2002) was a core member of the first generation of the New York School of Poets. A renowned poet and energetic teacher, Kenneth Koch had a passion for communicating his own belief that poetry was life itself. His books on teaching, Wishes, Lies and Dreams (1970) and Rose, Where Did You Get That Red? (1990), are a confirmation of his celebrated pioneer status in bringing poetry into the classroom. The most recent collections of his own poetry are New Addresses (Knopf, 2000), On the Great Atlantic Rainway: Selected Poems 1950–1988 and One Train, a collection of new work (both published by Knopf in 1994). His books of poetry include Seasons on Earth (1987), On the Edge (1986), The Duplications (1977), The Art of Love (1975), When the Sun Tries to Go On (1969), Thank You and Other Poems (1962), and Ko (1960). His plays, many of them produced off- and off-off-Broadway, are collected in A Change of Hearts (1973), One Thousand Avant-Garde Plays (1988) and The Gold Standard (1996). He has also published fiction — The Red Robins (1975), a novel, and Hotel Lambosa (1988), short stories. His collaborations with painters have been the subject of exhibitions at the Ipswich Museum in England and the Tibor de Nagy Gallery in New York. He received the Bollingen Prize in Poetry in 1995 and has received awards from the American Academy of Arts and Letters, as well as the Ingram-Merrill and Guggenheim foundations. Kenneth Koch taught at Columbia University. Thanks to the Poetry Projects at St Mark’s in the Bowery, New York, for this note. Poems, Tibor de Nagy Gallery, 1953. Ko; or, A Season on Earth (also see below), Grove (New York City), 1959. Thank You and Other Poems, Grove, 1962. Poems from 1952 and 1953 (limited edition), Black Sparrow Press (Santa Barbara, CA), 1968. The Pleasures of Peace and Other Poems, Grove, 1969. When the Sun Tries to Go On, Black Sparrow Press, 1969. Sleeping with Women (limited edition), Black Sparrow Press, 1969. The Art of Love, Random House (New York City), 1975. The Duplications (also see below), Random House, 1977. The Burning Mystery of Anna in 1951, Random House, 1979. Days and Nights, Random House, 1982. Selected Poems, 1950-1982, Random House, 1985. On the Edge, Viking (New York City), 1986. Seasons on Earth (includes Ko; or, A Season on Earth and The Duplications), Penguin (New York City), 1987. Selected Poems, Carcanet (Manchester, England), 1991. One Train: Poems, Knopf (New York City), 1994, Carcanet, 1997. On the Great Atlantic Rainway: Selected Poems, 1950-1988, Knopf, 1994. New Addresses: Poems, Knopf, 2000. (With Alex Katz) Interlocking Lives, Kulchur Foundation (New York City), 1970. The Red Robins (also see below), Random House, 1975. Hotel Lambosa and Other Stories, Coffee House Press (Minneapolis, MN), 1993. Wishes, Lies, and Dreams: Teaching Children to Write Poetry, Chelsea House (New York City), 1970. Rose, Where Did You Get That Red? : Teaching Great Poetry to Children, Random House, 1973. House, 1977, revised edition, Teachers and Writers Collaborative (New York City), 1997. Les couleurs des voyelles: pour faire ecrire de la poesie aux enfants, Casterman (Paris), 1978. Desideri Sogni Bugie, Emme Edizioni (Milan), 1980. (With Kate Farrell) Sleeping on the Wing: An Anthology of Modern Poetry, with Essays on Reading and Writing, Random House, 1981. (With Farrell) Talking to the Sun: An Illustrated Anthology of Poems for Young People, Metropolitan Museum of Art/Holt (New York City), 1985. The Art of Poetry (literary criticism), University of Michigan Press (Ann Arbor), 1996. Making Your Own Days: The Pleasures of Reading and Writing Poetry, Scribner, 1998. Little Red Riding Hood, produced in New York City at the Theatre de Lys, 1953. Bertha (also see below), produced in New York City at Living Theatre, 1959, produced as an opera, music by Ned Rorem, 1971. Pericles (also see below), produced Off-Broadway, 1960. The Election (also see below), produced in New York City at Living Theatre, 1960. George Washington Crossing the Delaware (also see below), produced Off-Broadway, 1962. The Construction of Boston (also see below), produced Off-Broadway, 1962, produced in Boston as an opera, music by Scott Wheeler, 1990-91. Guinevere; or, The Death of the Kangaroo (also see below), produced in New York City at New York Theatre for Poets, 1964. The Tinguely Machine Mystery; or, The Love Suicides at Kaluka (also see below), produced in New York City at the Jewish Museum, 1965. The Moon Balloon (also see below), produced in New York City in Central Park, 1969. The Artist (opera; based on poem of the same title; music by Paul Reif), produced in New York City at Whitney Museum, 1972. A Little Light, produced in Amagansett, NY, 1972. The Gold Standard (also see below), produced in New York City, 1975. Rooster Redivivus, produced in Garnerville, NY, 1975. The Red Robins (based on novel of the same title; produced in New York City at Theater at St. Clement's, 1978), Theatre Arts, 1979. The New Diana, produced in New York City at New York Art Theatre Institute, 1984. A Change of Hearts (opera; also see below), produced in New York City at Medicine Show Theatre Ensemble, 1985. Popeye among the Polar Bears, produced in New York City at Medicine Show Theatre Ensemble, 1986. (With composer Marcello Panni) The Banquet, produced in Bremen, Germany, at the Bremen Opera, 1998. Bertha and Other Plays, Grove, 1966. A Change of Hearts: Plays, Films, and Other Dramatic Works, 1951-1971, Random House, 1973. One Thousand Avant-garde Plays (produced by Medicine Show in New York City at the Marymount Theatre, 1987), Knopf, 1988. The Gold Standard: A Book of Plays, Knopf, 1996. (Editor, with Ron Padgett & Larry Fagin, and author of introduction) Joseph Ceravolo, The Green Lake Is Awake: Selected Poems, Coffee House Press (Minneapolis, MN), 1994.